How can policy keep pace with the Fourth Industrial Revolution? Agile governance is needed in an era when blockchain and AI are changing life as we know it. In today’s era of transformative scientific and technological advances, businesses are not only creating new products and services. They are reshaping industries, blurring geographical boundaries and challenging existing regulatory frameworks. The industries being powered by advanced technologies like IoT, artificial intelligence and blockchain are developing so quickly that it can be difficult for industry analysts and experts to keep pace. Consider, then, the challenges faced by policymakers. As governments try to keep pace with these new technologies, companies are routinely rolling out new products and services and regularly overhauling all aspects of them while governments are trying to carefully measure and mitigate their impacts. At the same time, citizens increasingly expect the private sector to take on new responsibilities for developing new approaches to the governance of advanced technologies. This rapid pace of change is, according to a recent survey by Accenture, making business executives feel that their organizations have a duty to proactively write policies for emerging digital industries and address ethical issues. 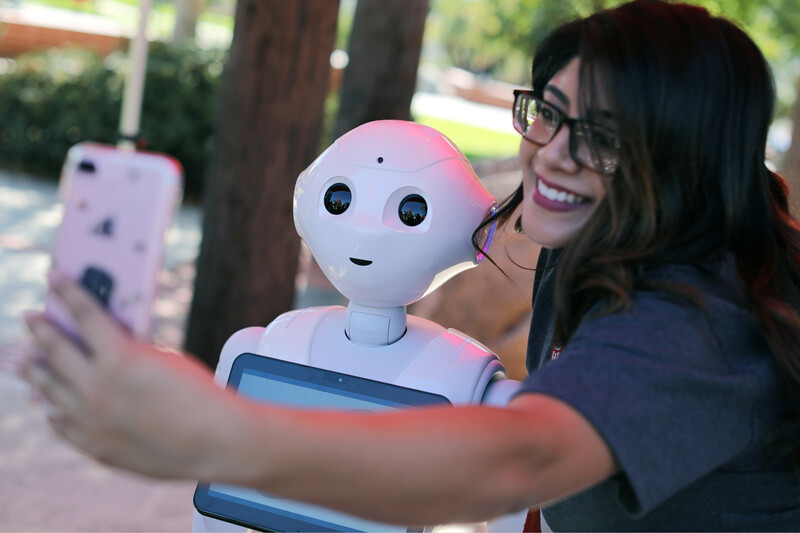 A selfie with Pepper, a robot from French company Aldebaran. The question, then, is: what can be done? How can these different actors all work together to help governments develop policy that is up to the task of shaping the Fourth Industrial Revolution? What is needed is a new era of agile governance – policymaking that is adaptive, human-centered, inclusive and sustainable, which acknowledges that policy development is no longer limited to governments but rather is an increasingly multi-stakeholder effort. • Open to input from a wider group of stakeholders and grounded in transparency. Those principles leave a tremendous amount of room for the experimentation and evolution that will help governments keep pace with industry. They also aim to ensure the broadest possible participation in the process of governing new technologies. This new era of agile governance can take many forms, and wide-ranging changes will be needed to create new sources of authority to govern these technologies. New models of public-private collaborative governance are needed to expand governance beyond existing institutions. Fortunately, examples are already emerging. Governments can design policies that leave more opportunity for the private sector to come up with innovative solutions – for example, when they design performance-based regulation frameworks, focusing on the purpose of the technological innovation, rather than its technical specifications. Like in Rwanda where the government partnered with the World Economic Forum to draft and adopt drone regulation that take into account the drone’s mission in addition to its physical specifications. 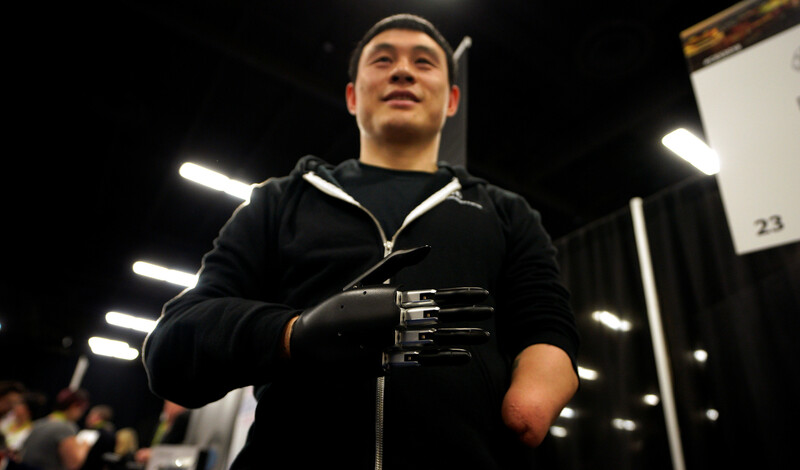 A user demonstrates an Brain Robotics AI-powered prosthetic hand. Confronted with the need to address wide-ranging developments and quickly changing regimes, some countries are embracing enhanced best practices in lieu of regulation. For example, the differing needs of companies across the financial, communications, chemical, transport, healthcare, energy, water, defence, food, agriculture and other critical infrastructure sectors had long stymied the development of cybersecurity rules in the United States. In their place, the National Institute for Standards and Technology (NIST) sought input from the private sector, government agencies and the privacy and security communities to establish widely accepted best practices for cybersecurity rather than establish new standards. The new NIST framework gives companies the flexibility to adopt a regime best suited to their individual needs while also giving regulatory agencies guidance on the reasonableness and adequacy of an organization’s internal controls. Industry self-regulation is a key governance tool in many industries, such as healthcare, mining or professional sports, and can also be applied to speed up appropriate governance of the use of technology in new industries. Standards organizations, such as the Institute of Electrical and Electronics Engineers, have been instrumental in driving industry standards for the electronics industry and the internet, as well as stepping up their efforts in, for example, defining and governing the internet of things (IoT). When new technologies and new industries emerge, more than one private self-regulating body can emerge. That is happening today as standards bodies, consortiums and alliances working on artificial intelligence algorithm protocols and IoT connectivity standards are rapidly emerging. Governments could act here as super-regulators, authorizing and evaluating different standard-setting bodies based on their efficacy to achieve regulatory targets. When a technology is so new – or developments happen so quickly that setting technology standards is not yet possible, or no single body exists yet to set those standards – industry leaders can commit to adopt ethical principles that guide industry research. This is the approach of the Asilomar AI principles, which have been subscribed to by 3,800 industry leaders to help set guidelines for the AI industry’s development. New forms of governance frameworks can also emerge as a side product when businesses step up their role in society. In 2011, for example, Dell, HP, Microsoft Mobile and Philips came together in Nigeria to establish a recycling system for electronic products in the country. The companies brought together stakeholders from civil society, business and government to remove the obstacles in the electronics lifecycle. Government bodies followed and put in place regulation that enforced e-waste management when the ecosystem began to emerge. Today, the project has been replicated across the continent with support from the UN Environment Programme and the World Economic Forum. Interesting examples of different actors working together to shape the trajectory of emerging technologies so that they benefit society are emerging, but more needs to be done. There is huge potential for multi-stakeholder collaboration to help shape conceptual frameworks and ethical principles in a rapidly evolving world, where it is apparent that agile governance practices are required now more than ever.